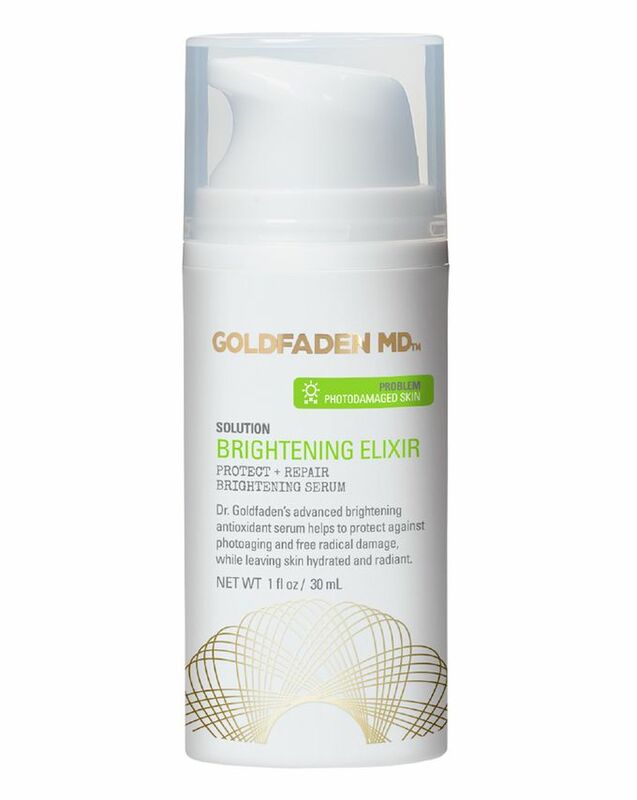 Brimming with protective antioxidants and a potent blend of brightening, revitalising extracts, Goldfaden MD’s Brightening Elixir is the ultimate foil for dulled, lacklustre skin types. An intensive treatment serum, this has been meticulously formulated to deliver visible, skin-refining and toning benefits while remaining suitable for skins that are invariably intolerant of ‘active’ formulations – maximising the effects while minimising any risk of irritation. Supercharged with 9% brightening, glow-giving vitamin C (in the form of l-ascorbic acid), alongside 3% ferulic acid, 3% vitamin B and 2% vitamin E, this skin-refining treatment helps to enhance firmness, diminish dark spots and dramatically improve skin’s overall tone so your face looks (and feels) super-soft with a fresh, youthful radiance. Perfect for those concerned about dullness, lost elasticity or sun speckles, this all-natural potion is powerfully rejuvenating – promoting density and ‘stretch’ while boosting ‘bounce’ and soothing irritation thanks to the addition of vitamins B3 (niacin), B5 (pantothenic acid) and E, which work together to increase resilience, calm inflammation and help combat pigmentation patches. For the best results, it’s best to use this treatment serum in conjunction with a daily exfoliator and sunscreen. Can also be used as a spot treatment on specific areas of concern. I'm not sure if it is just my skin type (combination) or what has happened, but this serum made my skin very dry, very tight, and just not comfortable feeling at all. I have an oily T-Zone but this made that extremely dry. I really wanted to like this because of the ingredients and the reviews, but have sadly wasted £72! In order for me to use this comfortably I need to add extra moisturizer and face oil and still feel dry! I was recommended this serum by a friend, I absolutely love it, after a week of regular use I have noticed a definite glow and radiance returned to my skin, I did not expect such a performance from an organic, natural vegan brand. I follow it with Pai rosehip oil at night and sunscreen during the day. I’m 38 years old middle eastern with olive skin tone. I didn’t look after my skin for a couple of years and it started to look very dull and dry. Around my eyes were so red and dry as well. I used this as a sample for one week and my skin looked so different instantly! 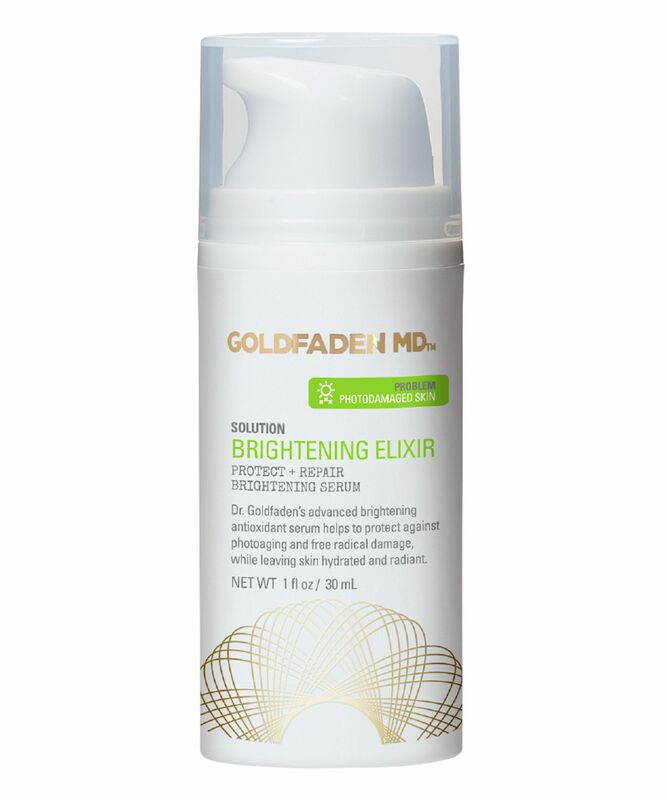 I purchased a full size and after using it for a few weeks now (in a combination of Goldfaden moisturizer and eye cream), my skin seriously looks bright, fresh and young. The redness around my eyes has faded and everyone says I look so fresh. I don’t even feel the need for makeup much. 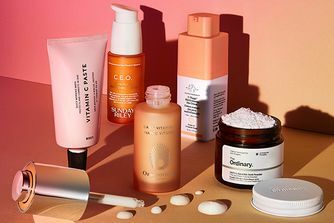 I really love this formulation because it has the right form of vit c, with the ferulic acid, plus niacinimide, and the plumping extras. It doesn't irritate as much as Cellex or other equivalents. and its less expensive.